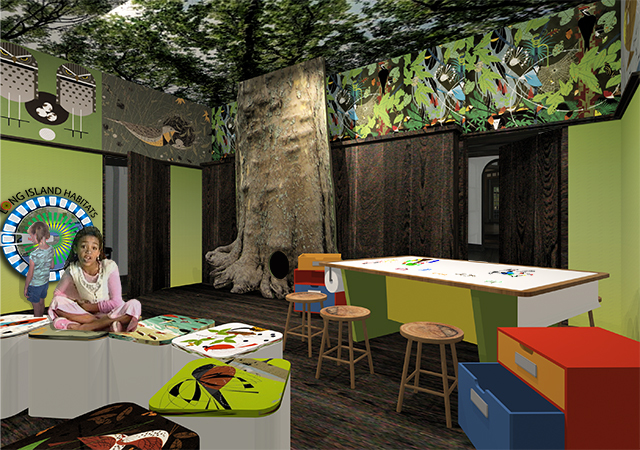 This 70-acre environmental center lies near the shores of the Great South Bay and is adjacent to the Seatuck National Wildlife Refuge and the Islip Town Beach. 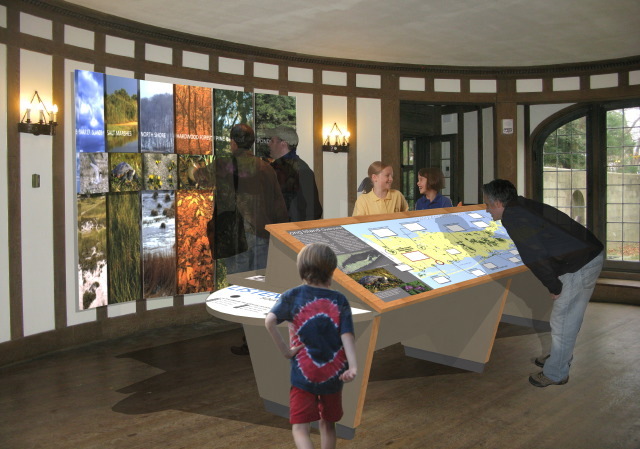 A system of trails and boardwalks gives visitors access to the property’s diverse mix of habitats, including extensive salt marsh, freshwater wetlands and mature upland forest. 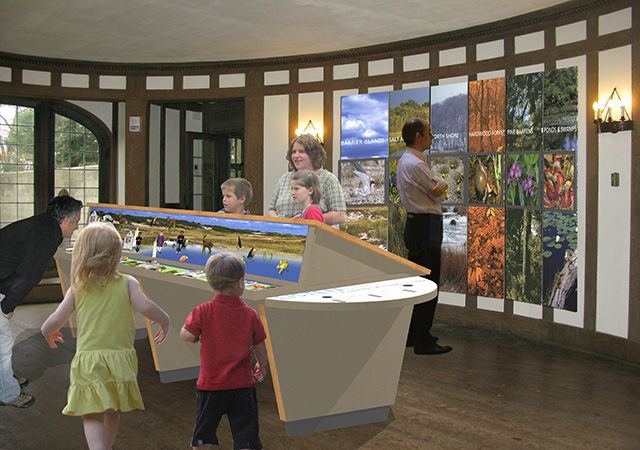 Exhibits inside the center allow for hands-on activities and encourage active engagement with a broader understanding of the value of ecological systems. 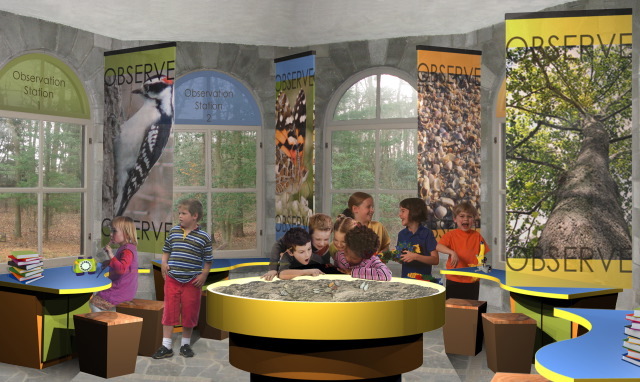 Highlights include an interactive map of Long Island, an overview to the habitats and wildlife found in the region and a children’s activity center. 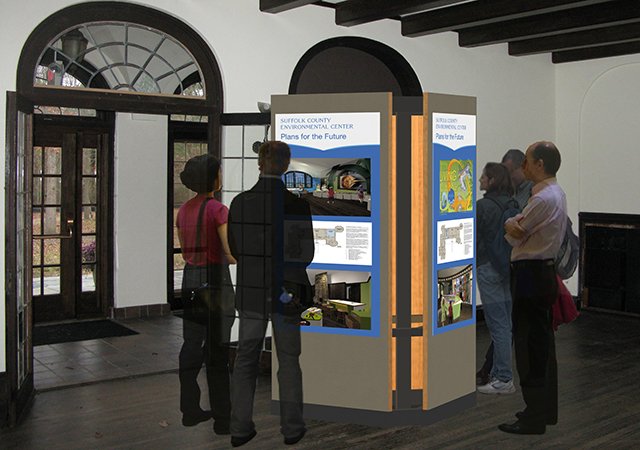 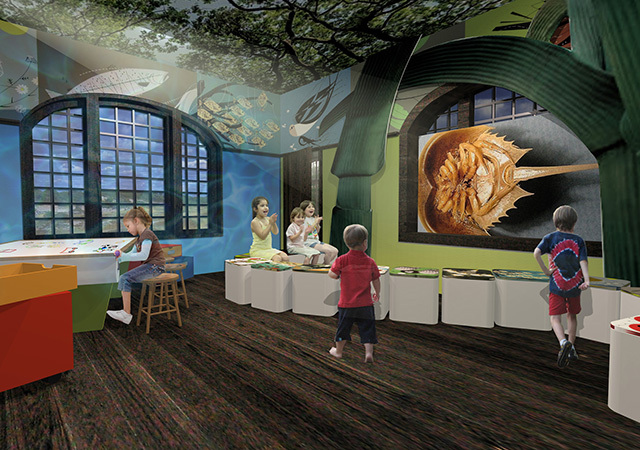 This first stage of development for the center included signage for self-guided outdoor exploration, interior exhibits and a series of outdoor interpretive panels.